Dentistry has come a long way since brutal tooth extractions without anesthetic, using animal teeth as replacements, and drilling into teeth using hand powered drills… the stuff of nightmares for many! Luckily, trips to the dentist are now painless and comfortable, and modern dentistry methods are highly advanced and effective. Consequently, there are heaps of books out there on all aspects of the subject, from endodontics, orthodontics, periodontics and pediatrics. And here at WeBuyBooks, we are very interested in buying used dentistry books… so if you’ve got any that you no longer need, we make exchanging them for cash a total dream! How do I sell used dentistry books for cash? We’re not putting on a veneer; our selling process really is as easy as can be. 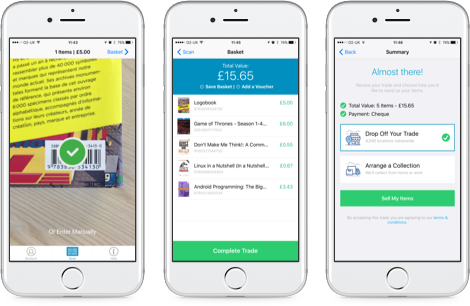 Simply enter the ISBNs of your dentistry books into our online selling basket (or scan them using our mobile app), get valuations in seconds, send your books to us, and then get paid! Plus, we even provide you with a prepaid postage label, and are happy for you to send multiple dentistry books in one package, so selling with us won’t cost you a penny, or require trips back and forth to the post office. As strong as enamel and with no pesky cavities to catch you out, our process definitely deserves a sticker from the dentist! Sell used dentistry books on the go with our mobile app! It transforms your phone’s camera into a clever scanning device, meaning you can get valuations for your used dentistry books whenever and wherever. So, even if you’ve got piles and piles of used dentistry books to sell, it won’t take you long to swap them for cash! Declutter your home and make some extra pennies! 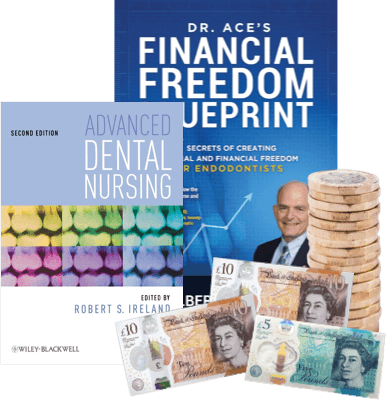 Therefore, if you’ve got unwanted dentistry books cluttering up your home, take advantage of our great system and exchange them for cash – it’s hassle-free and super speedy. 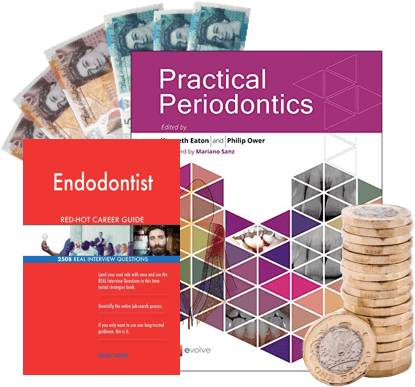 Maybe you’re moving house and are having a clear out, or perhaps you’ve decided to focus on a different aspect of dentistry and no longer need some of you books… whatever the reason, don’t let your dentistry books go to waste, start exchanging them for cash today! Send your Dentistry Books, DVDs, games and CDs to us and we’ll send you some money. Less clutter at home and more money – what’s not to love about that? So don’t wait – sell online today with We Buy Books. If you’d like some extra help, then please don’t hesitate to get in touch. Just give us a call on 01706 248281.